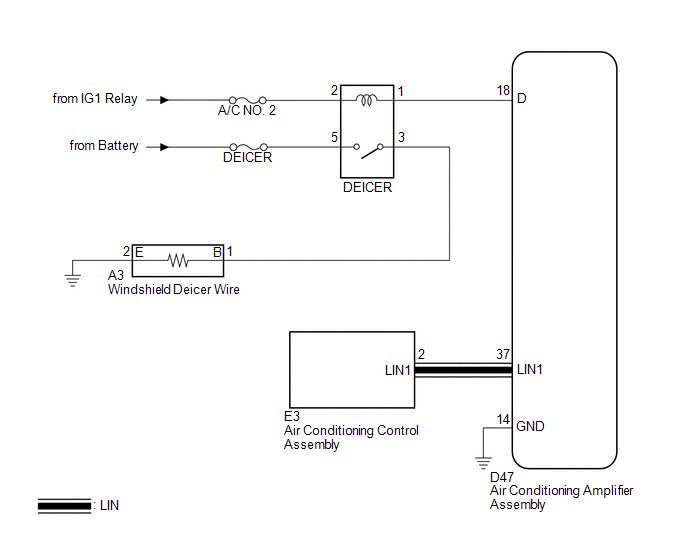 When the rear window defogger switch on the air conditioning control assembly is pressed, the operation signal is transmitted to the air conditioning amplifier assembly through the LIN communication line. 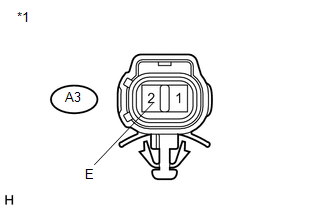 When the air conditioning amplifier assembly receives the signal, it turns on the DEICER relay to operate the windshield deicer. 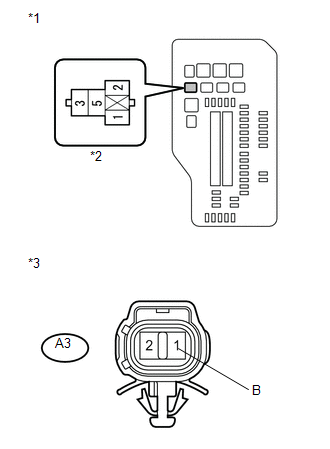 (a) Turn the ignition switch to ON, press the rear window defogger switch, and check that the window defogger operates (See page ). The window defogger system operates normally. 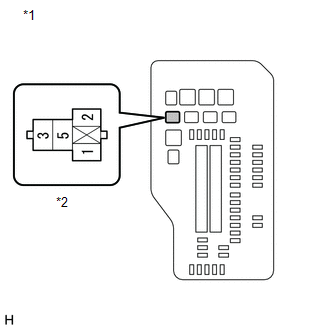 (a) Remove the DEICER relay from the engine room relay block. 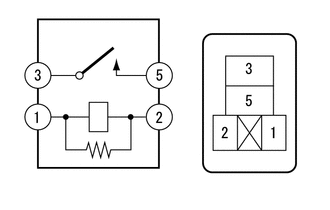 (a) Measure the voltage according to the value(s) in the table below. 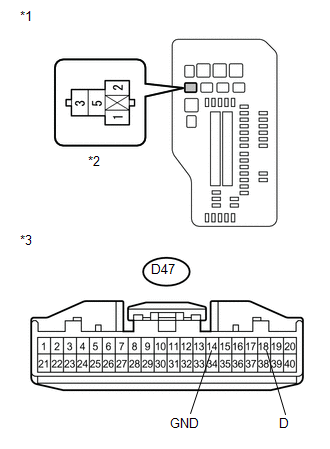 (a) Disconnect the D47 air conditioning amplifier assembly connector. (a) Disconnect the A3 windshield deicer wire connector. (a) Measure the resistance according to the value(s) in the table below.